Ulquiorra regenerates his missing arm. Ulquiorra is the only arrancar that is capable of regenerate his body at incredible speeds with the exception of his brain and internal organs. After that explanation he makes a “Lanza del Relampago”. It seems it is really hard to use it. Ishida is scared, and then Ichigo uses a Sonido. Ulquiorra uses the “Lanza del Relampago” at a point-blank range. But Ichigo stops the attack with his own hands. Ichigo defeats ulquiorra, steps on his head and uses a Zero, the end. 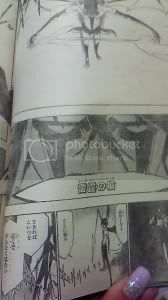 note by spacecat: it just means Hisagi with his zanpakuto released is on the cover of volume 38. Cero (虚閃, セロ, Sero; Japanese for “hollow flash,” Spanish for “zero”, “Doom Blast” in the Viz translation) is a form of attack used by Menos, Arrancar and Vizard. It consists of firing a blast of concentrated spirit energy at the target. 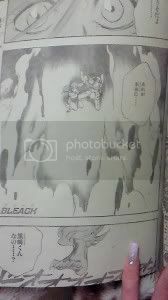 While in most cases it is fired from the mouth, some Arrancar and Vizard are capable of firing Cero from their hands, fingers and other parts of their bodies. The power, force, speed, color, and blast area of the cero is dependant on the strength of the user (i. e. the stronger the user the stronger the attack), and there are some Arrancar and Vizard who have come up with their own variation. 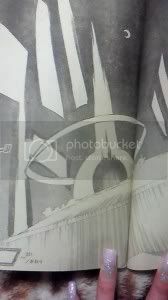 Ulquiorra has been shown using Cero from his fingers with very destructive power. His Cero is a green color instead of red, which is more common among Arrancar and Hollows.